Seniors who received First Honors every semester were honored at this morning's Honors Breakfast. Northwest Catholic Senior Parents are invited to a Senior Parent Cocktail Reception on Friday, April 26 from 6-8pm in the Reverend Bradford Colton Atrium. You may RSVP to Jane Leary at jleary@nwcath.org. Invitations have been sent to grandparents of the Class of 2022 inviting them to Grandparents Day on Thursday, May 2, 2019. If your grandparent did not receive an invitation or you have any questions, please contact Jane Leary at jleary@nwcath.org or 860-236-4221 x131. The Graduation Cruise Committee invites you to participate in a DINE ANYTIME at PUERTO VALLARTA Fundraiser. Eat ANY DAY at Puerto Vallarta (Avon, Newington, Southington, Orange, or Danbury) and they will donate 20% to the NWC Safe Senior Grad Cruise. Print and send in the this FORM with check or cash payment to the Main Office by April 19. Questions? Email maurastamm@sbcglobal.net. After vacation you will have the opportunity to enjoy Japanese Cuisine at Ginza Japanese Cuisine and KOMA Japanese Steakhouse (Bishops Corner, WH) and American cuisine at Crown and Hammer (Collinsville) while supporting NWC's Safe Graduation Cruise effort for the Class of 2019! More ways to Support the Class of 2019! Families from EVERY grade can help make this graduation tradition a success! Send a flock of green flamingos to a friend! We have a committee ready to deliver them with your message. Also, senior families will want to purchase a LAWN SIGN, make a monetary contribution (toward scholarships and entertainment), or donate a raffle item to the senior cruise. Click HERE to access ALL of the above options. Questions? Email Maura Stamm at maurastamm@sbcglobal.net. 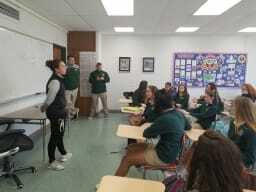 Read full stories about Academics & College Prep HERE. 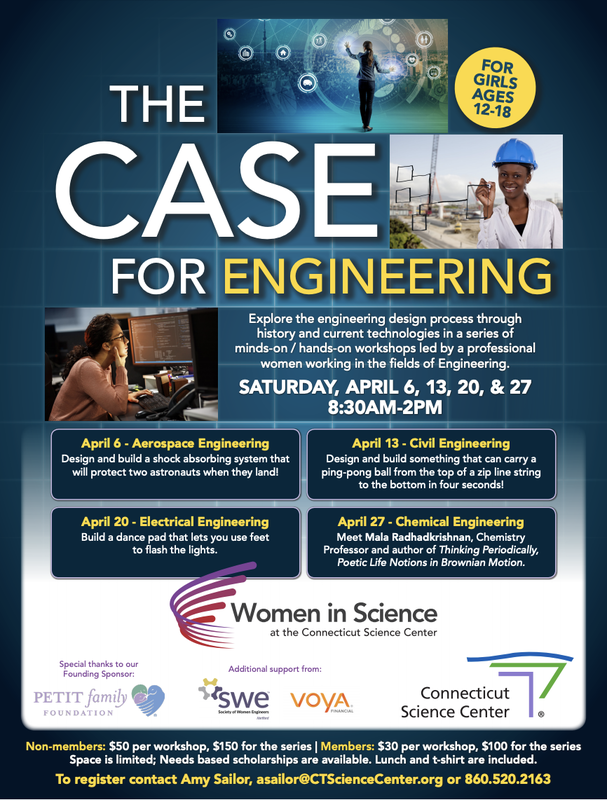 The Science Center in Hartford is hosting workshops April 6, 13, 20, and 27 that are designed for young women ages 12-18 who may be interested in engineering. Each workshop focuses on a different aspect of engineering and are led by female engineers to instruct and inspire the young women. The workshops use both lecture and hands-on components to engage the students. The days run from 8:30am-2pm, and each workshop is stand-alone if a student is interested in attending one or more. Each program still has spaces available. Click HERE if interested and you may register by contacting Amy Sailor at asailor@CTScienceCenter.org or 860-520-2163. The Actuarial Boot Camp is an immersive, interactive experience providing high school students and college freshmen the chance to learn about this important profession. In five energizing days, students meet local actuaries from companies large and small, glean career development advice, develop some important business skills and receive actuary-led math instruction to help them pass an actuarial exam! The program includes sessions on writing skills, negotiation strategies, and professional ethics, as well as networking opportunities with actuaries working in a variety of businesses. Our students who have attended in the past have been impressed with the atmosphere and the opportunity to use the math skills they have learned. There are 2 sessions: July 15-19 and July 22-26, at Lincoln Financial Group in downtown Hartford. The cost is $250 but tuition assistance may be available. Students must have completed AP Calculus and reside full-time in New England with preference given to CT residents. For more information and an application, go to connecticutifs.com/ifs-workforce/actuarial-boot-camp. The deadline is May 17, 2019. Mrs. Betsy Quinn and Mrs. Deborah Metzler will again be offering an SAT summer review course. Many students have participated in the course over the past few summers and have found the experience to be a positive one. Our intent is to provide students with the additional strategies and practice opportunities that will help them to be successful on this important college admissions test. The classes will be tailored to the needs of our students and will include instruction in math testing components and evidenced based reading and writing skills that are critical for success on the SAT. Working with our students throughout the school year, we feel confident in assessing their needs and believe that the less academically demanding summer months are the perfect time to get ahead! The course will involve diagnostic testing, drill and review, in-class problem solving, test taking strategies, practice test reinforcement, and direction in developing a personal study plan. In short we hope to strengthen both the skills and confidence of students encountering the challenges of a college entrance exam. Please complete this FORM, which should be returned along with full payment to Northwest Catholic. Classes are held at NWC and will begin on June 17 and run weekdays through June 27. If our school calendar changes due to additional snow days, the start date may have to be adjusted. You will be notified accordingly. We look forward to spending this time with the students in this worthwhile endeavor. At this time of year we know that you have received admission decisions from the colleges that you have applied to. Please know that we, the school counselors, are also very interested in hearing about the news you have received. We encourage you to come into the School Counseling Office to share your news with us. Also, as you are in the process of making your decision of where you will attend, your counselor is available to talk over your options and welcomes the opportunity to help you in this important decision. Keep in mind the May 1 deadline of committing to the college of your choice. The counselors will be conducting an exit interview with each of their respective seniors after May 1, 2019. 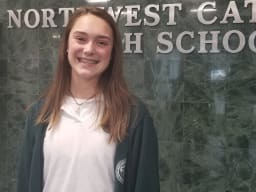 Keagan Ostop will be honored at the YWCA New Britain’s 2019 Women in Leadership Luncheon at the Aqua Turf Club in Plantsville. Ostop has been selected because of her outstanding achievements, service, and contributions at school and in the community. Read full stories about Faith & Service HERE. Our next Manna Meal is Mon., May 6. Everyone is invited to participate -- current students, incoming students, parents, friends, alumni! If this is your first chance to volunteer, we welcome you! Students can catch a ride from NWC by meeting in Campus Ministry at 4pm and returning at 7:15pm. Or meet us at Christ Church Cathedral Parish Center on Church Street, Hartford at 5pm. We cook from 5-6pm, serve at 6pm, and are done by 7pm. Students must return the permission slip found HERE. Please sign up HERE with the item(s) you will donate if you are volunteering. Last weekend Northwest Catholic’s Dramateurs brought to life Godspell, creating on stage a transcendent sense of Christian community. Read full stories about the Arts HERE. Save the date for Jazz Cabaret Night - Sat., May 4! Jazz Cabaret Night, a wonderful night of performance by NWC's accomplished musicians and vocalists that benefits the Music Department, will be held on Sat., May 4 at 7pm in the Navin Family Dining Hall. Planned and hosted by the Music Boosters, the evening will offer outstanding music, savory and sweet refreshments, a basket raffle and a wine grab, and great fellowship. Please visit NorthwestCatholic.org/JazzNight to reserve your seats (this wonderful event sells out fast, so don't delay! ), to buy an ad or "send a message" in the program, or to contribute to the event. To volunteer to help provide refreshments, sign up HERE. Hope to see you there! Athlete of the Year, All-Conference, All-Region & Team Captain at Division I CCSU to lead girls soccer coaching staff at Northwest Catholic. Read full stories about Athletics HERE. The Spirit Store will be open this Friday, April 5 during the lunch periods (11:30am-12:45pm). Stop by the store in the Navin Family Dining Hall to get your NWC swag for the spring sports season. The Spirit Store is open during lunch two Fridays per month (remaining dates this spring: April 26, May 10, May 24, June 7), and it will be open for Freshman Grandparents Day on Thursday, May 2. Interested in helping out in the Spirit Store? Sign up to volunteer HERE. Questions? 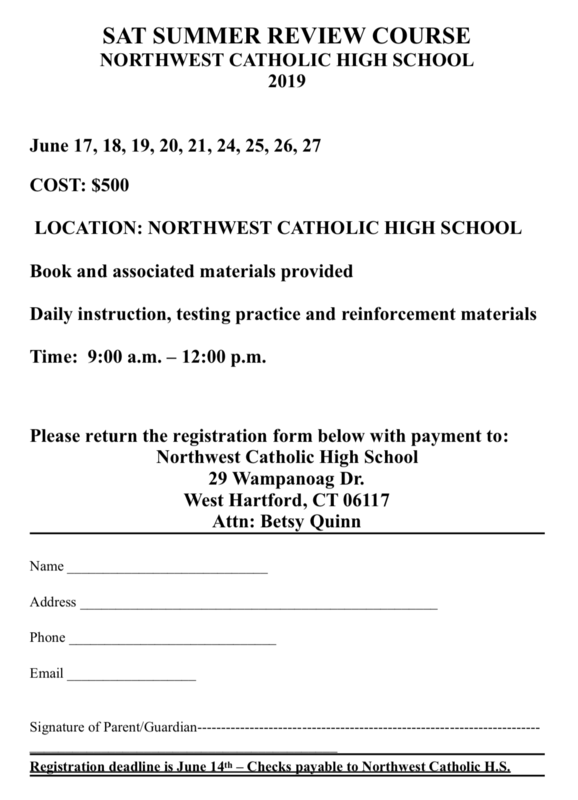 Contact NWC Spirit Store Coordinator Stephanie Barnes at NWCSpiritShop@nwcath.org. Read full Alumni LEADS stories HERE. Spring is finally here, so registration is now open for the 42nd Annual NWC Golf Tournament! On Tuesday, June 11, members of the NWC community will tee off at beautiful Wampanoag Country Club for a day of fellowship and fun for a great cause – the Northwest Catholic Fund and NWC Athletics. 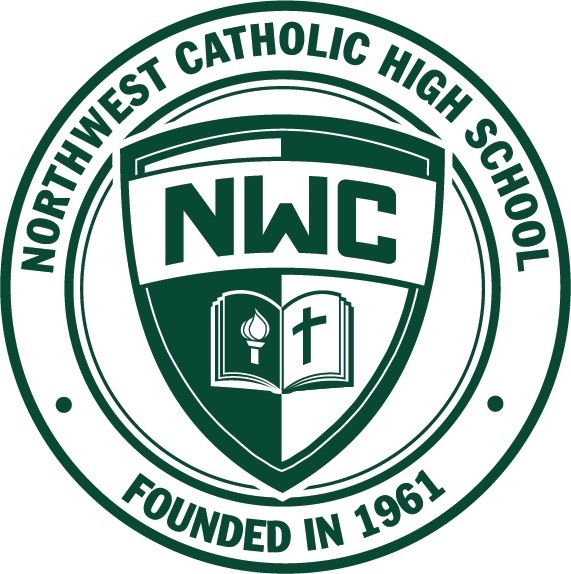 Please go to NorthwestCatholic.org/Golf to become a sponsor, register to play or attend the tournament dinner, or donate to the auction/raffle. Not a golfer? Not a problem -- volunteers are needed to help on the day of the tournament, both in the clubhouse and on the course, so if you're interested in helping, please contact Pat Walsh in the Advancement Office at pwalsh@nwcath.org or 860-236-4221 x138.